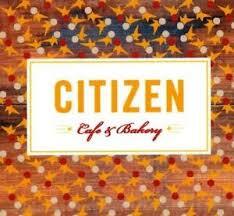 Citizen Café and Bakery are proudly pouring Bean North espresso with a grassroots approach to honest food, great coffee, and local community. Our sumptuous baking, breakfast, and lunch is mindful of appetites needing more consideration; offered in gluten free or vegan varieties and served by the strength of our business, our capable and good-natured staff. Become a citizen in our community today.